The Sens Hometown Tour was advertised to "give fans the chance to meet Senators players, participate in interactive games, win tickets to Senators home games, win prizes and more!" However, the real intention behind the tour was mistakenly revealed this afternoon. In the past, many great accounts have fallen victim to Twitter's user experience, as it can be very difficult to differentiate between tweeting and direct messaging. 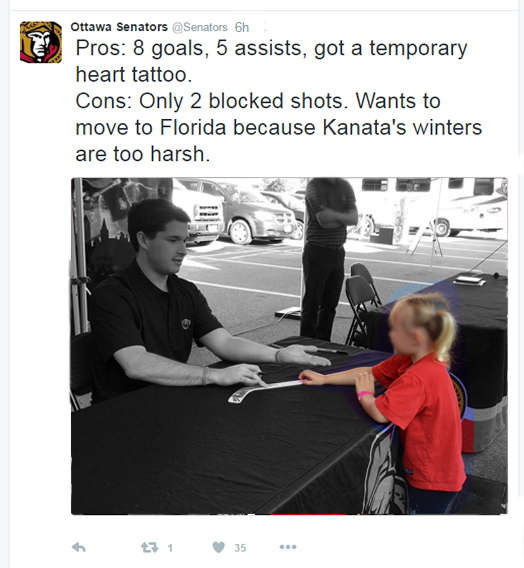 It happened again earlier today—this time with the official Twitter account of the Ottawa Senators. Several tweets were sent out that seemed to be intended as direct messages to many of team's executives. 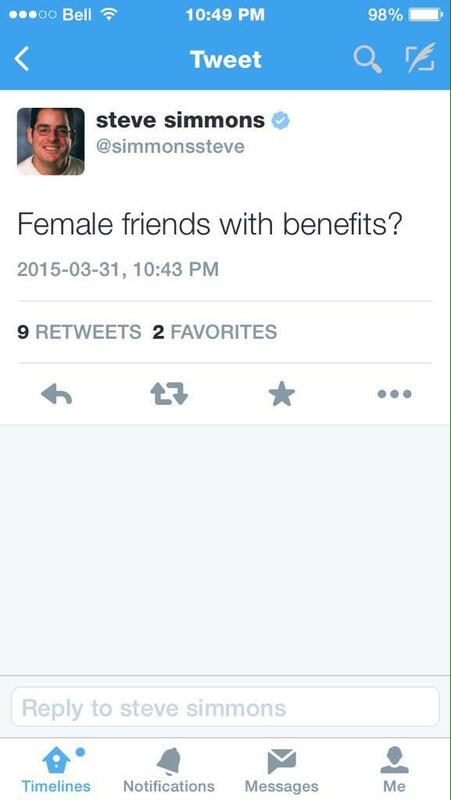 The tweets have since been deleted, but luckily for you, we were able to grab screenshots of them. Please note that we blurred the faces of the photo subjects in order to protect their identities. 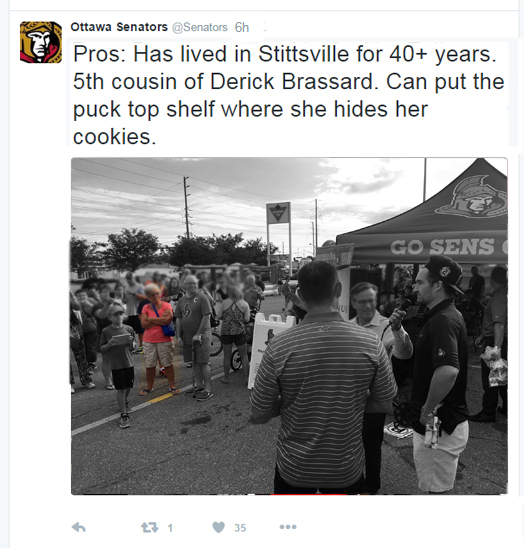 As the pictures show, the Hometown Tour was nothing more than a scouting trip for the Ottawa Senators. Even the players were in on it, wearing hidden cameras and peppering the fans with multiple questions similar to those you see potential draft picks having to answer like, "Where are you from? ", "Do you know what it means to play the game the right way? ", "Define hockey culture", and "But seriously, are you from Ottawa?" 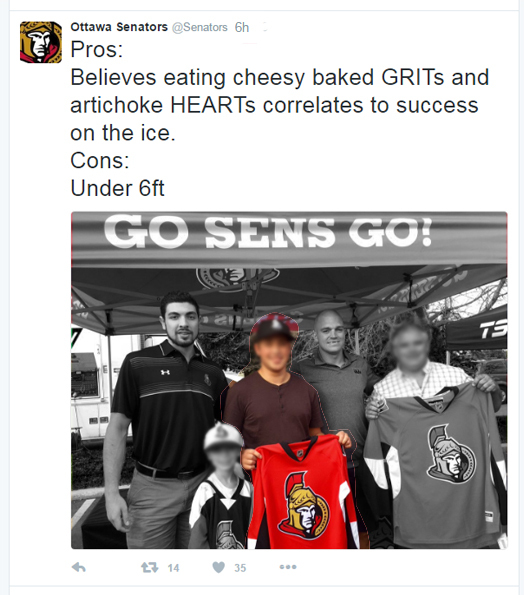 These leaked tweets confirm the ongoing rumours surrounding the Ottawa Senators and their preference for local talent. 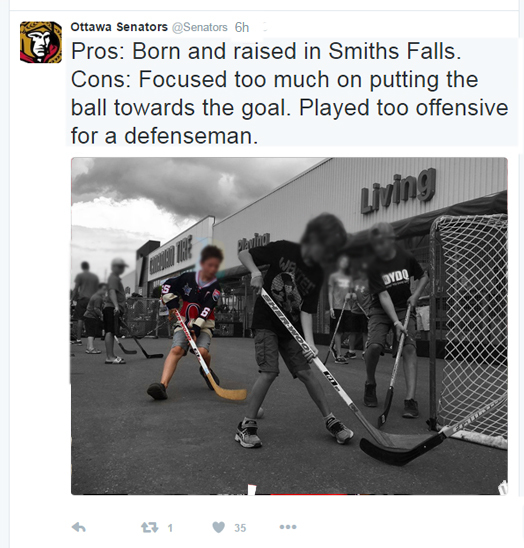 In some instances, the Senators' evaluations didn't even consider the number of goals or assists a player had in the ball hockey game, instead focusing only on the intangibles. This mentality rooting from management has clearly made its way down to the locker room, and was on display during Mark Borowiecki's successful summer run as a Whose Line Is It Anyway? cast member. At first glance, the Senators' obsession with local talent may seem like a horrible situation, but there are actually some big winners coming out of this, and The Results May Surprise You! The first winner is you, the fans, sitting at home wondering if you will ever make it to the NHL. 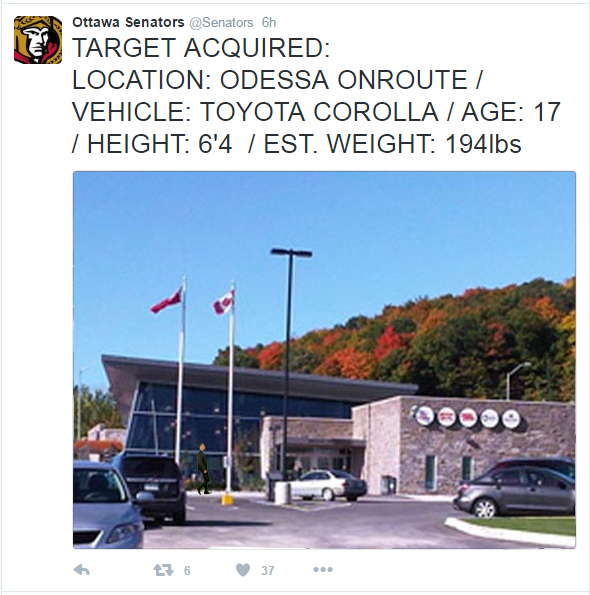 These tweets clearly reveal that if you were born or have resided in, near, or around the Ottawa area, you are on the Senators' radar. And for those of you who don't fit that criteria, the final tweet pictured below proves that even if you are potentially driving through the Nation’s Capital, the Senators have their eyes on you. The second winner is the Ottawa Senators. 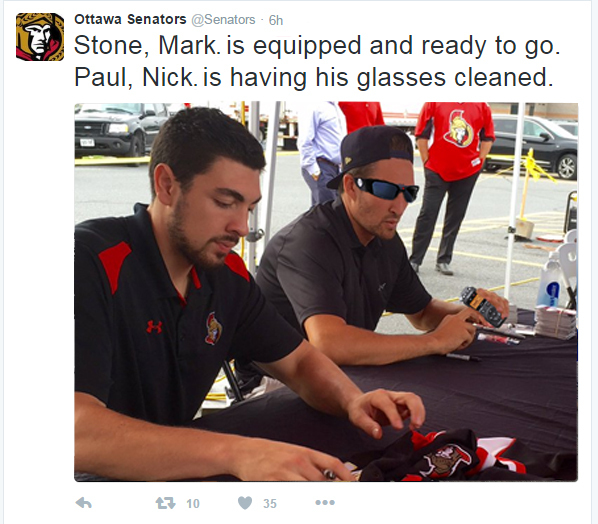 Even with the tweets mistakenly sent out, from the Senators perspective, the 6-day tour was extremely successful. Inexpensive local talent full of heart. What more could you ask for?